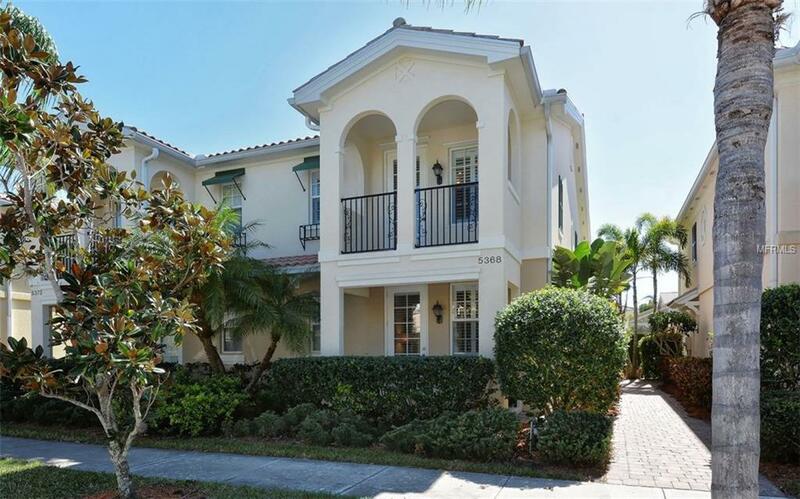 Beautiful Mediterranean style townhome! Located in the gated community of Villagewalk is this spacious 3 bedroom ( 2 master suites) 3 full bath Townhome with a 2 car garage. You will love this light and bright home with a coastal feel. Enjoy the upgrades including new washer and dryer, newer stainless appliances, laminate floors, plantation shutters, and retractable awning for the patio. Villagewalk is a Resort style community that offers a Geo thermal resort pool, geo thermal lap pool, 6 har tru tennis courts, state of the art fitness center, Clubhouse with event space, meeting rooms, gas station, restaurant, hair salon, gift shop and miles of biking/walking trails along our many lakes. Close to Siesta Key Beach, shopping, dining and the Legacy bike trail.